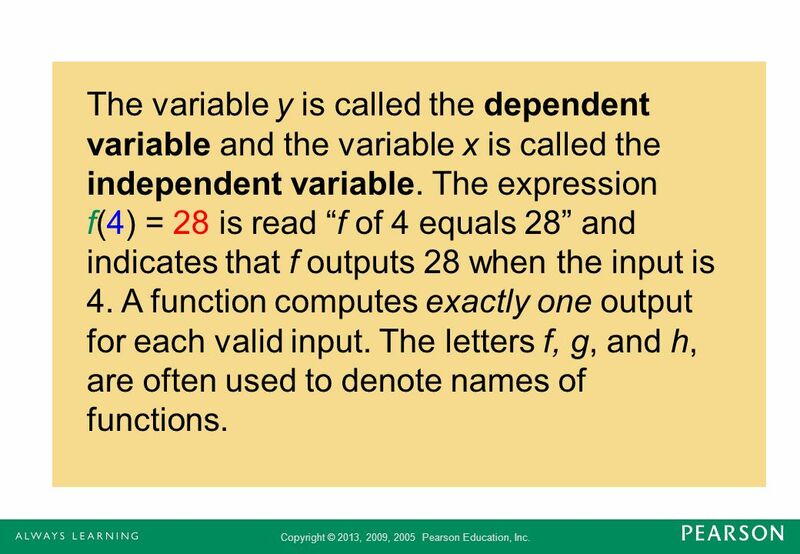 4 The variable y is called the dependent variable and the variable x is called the independent variable. 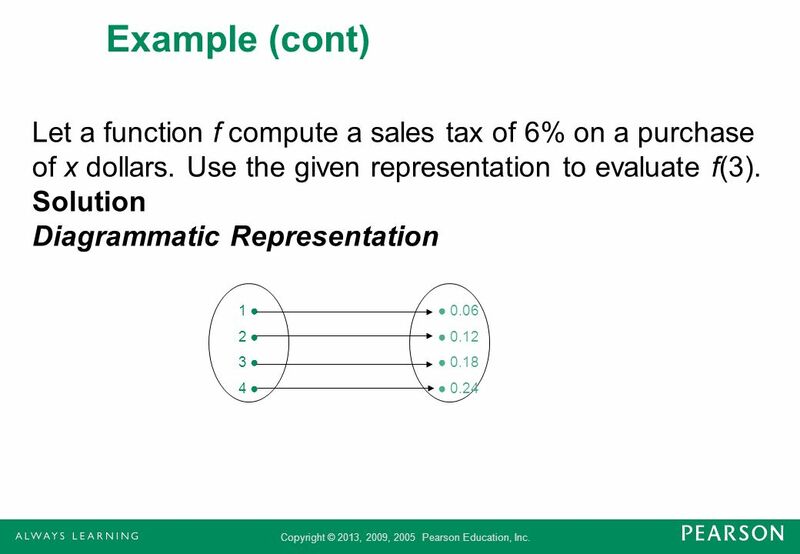 The expression f(4) = 28 is read “f of 4 equals 28” and indicates that f outputs 28 when the input is 4. 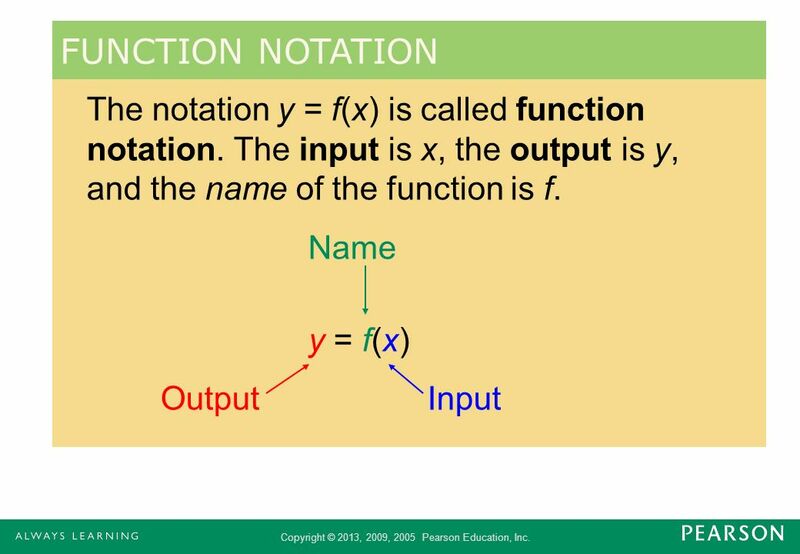 A function computes exactly one output for each valid input. 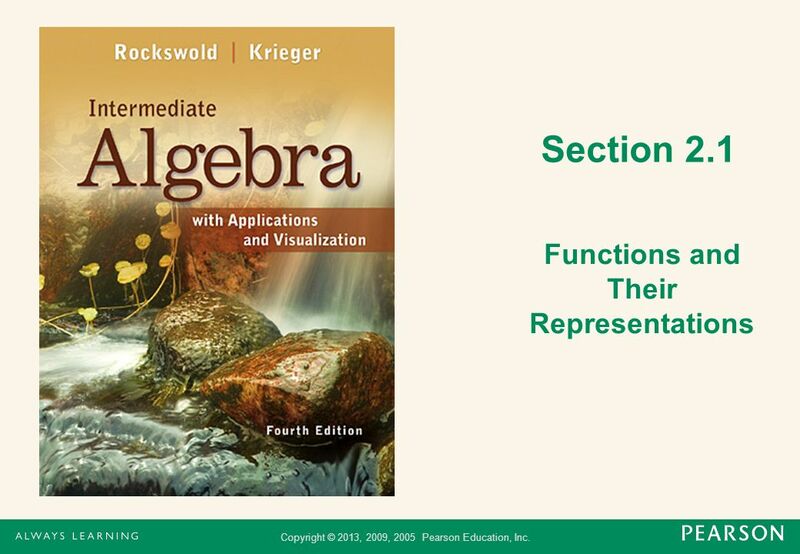 The letters f, g, and h, are often used to denote names of functions. 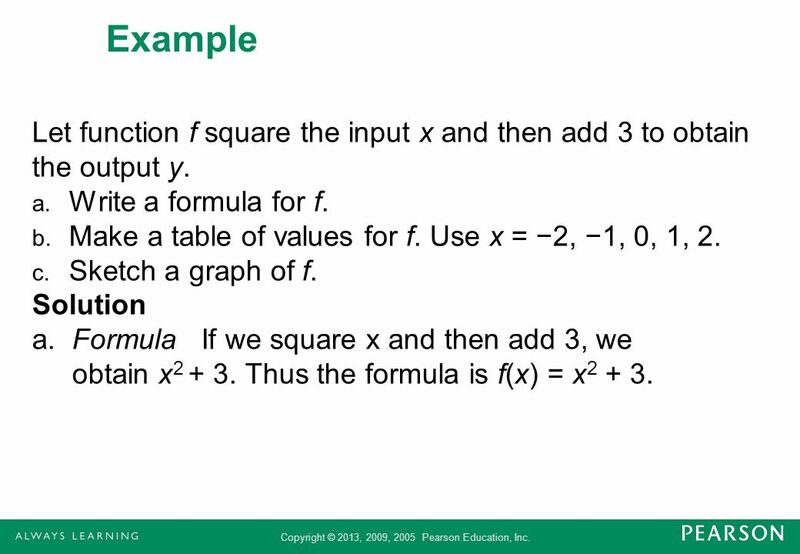 10 Example Let function f square the input x and then add 3 to obtain the output y. Write a formula for f. Make a table of values for f. Use x = −2, −1, 0, 1, 2. 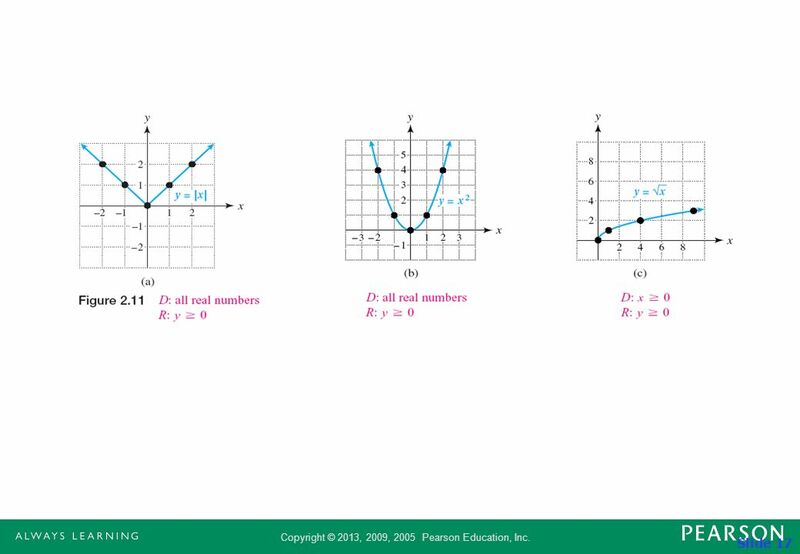 Sketch a graph of f. Solution a. Formula If we square x and then add 3, we obtain x Thus the formula is f(x) = x2 + 3. 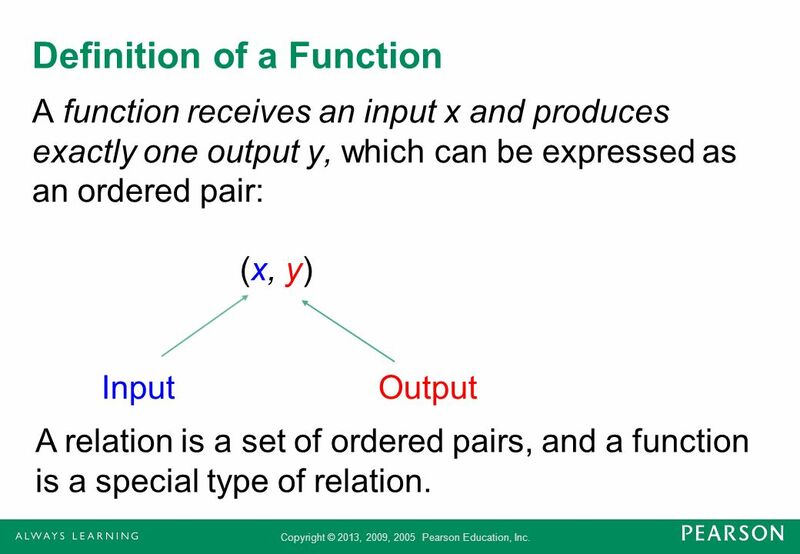 A function receives an input x and produces exactly one output y, which can be expressed as an ordered pair: (x, y) Input Output A relation is a set of ordered pairs, and a function is a special type of relation. 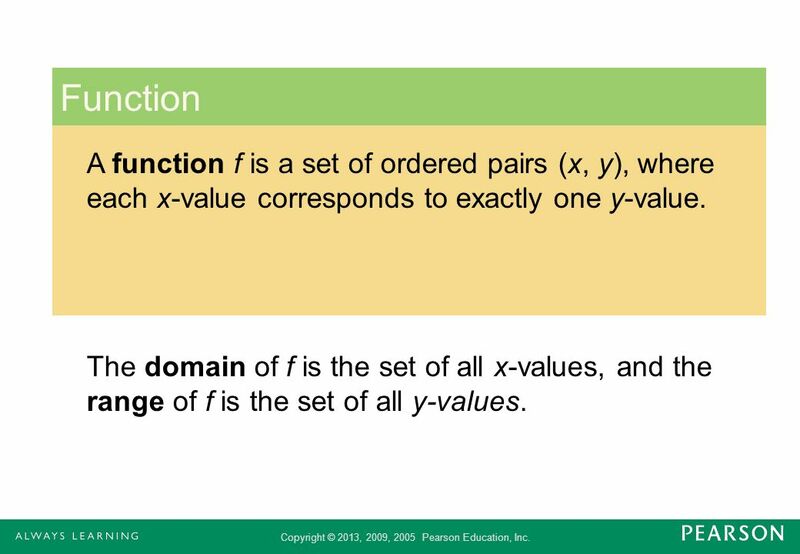 13 Function A function f is a set of ordered pairs (x, y), where each x-value corresponds to exactly one y-value. 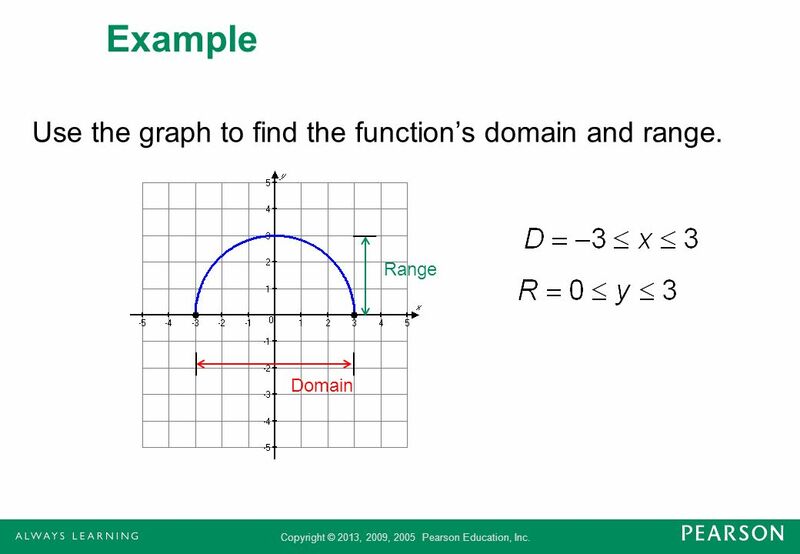 The domain of f is the set of all x-values, and the range of f is the set of all y-values. 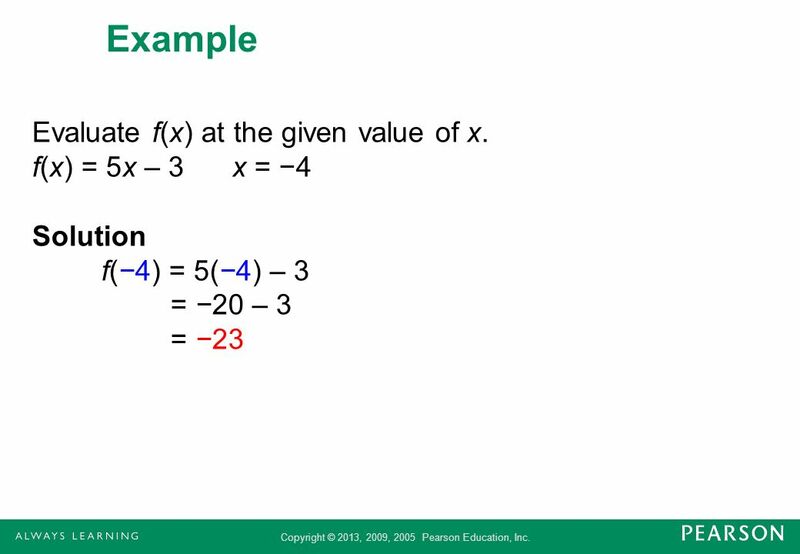 16 Example Use f(x) to find the domain of f. a. f(x) = 3x b. Solution a. 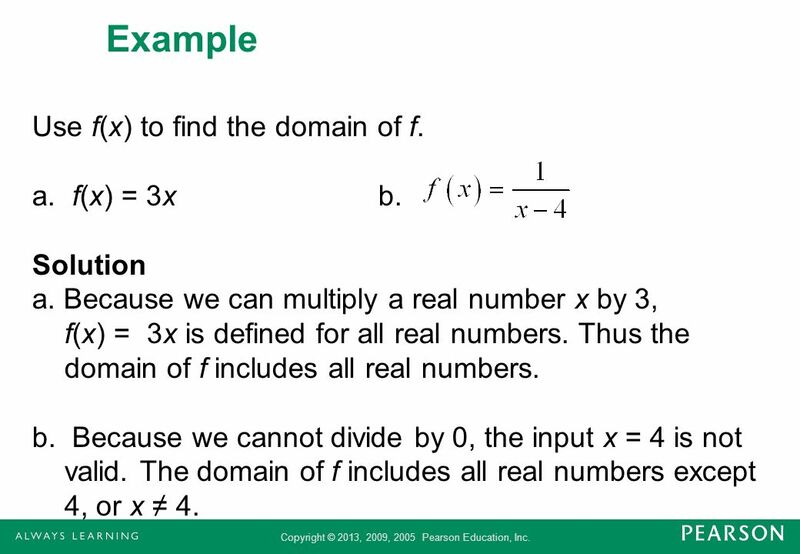 Because we can multiply a real number x by 3, f(x) = 3x is defined for all real numbers. Thus the domain of f includes all real numbers. b. 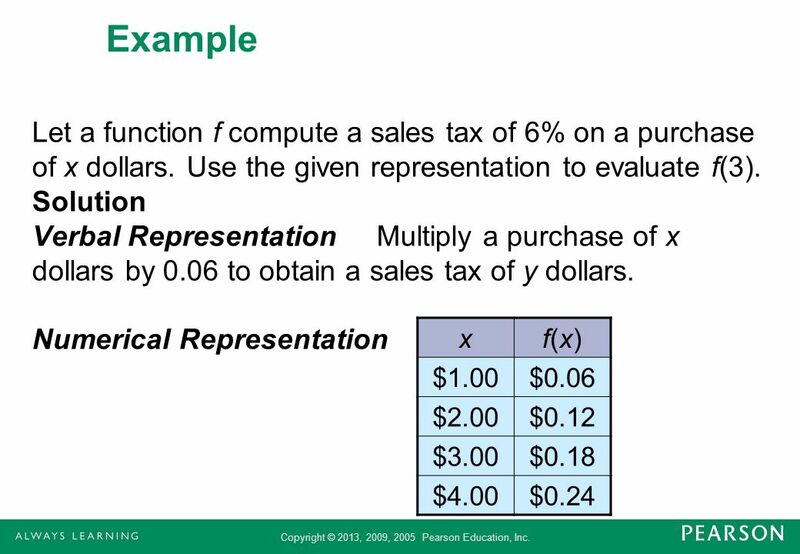 Because we cannot divide by 0, the input x = 4 is not valid. 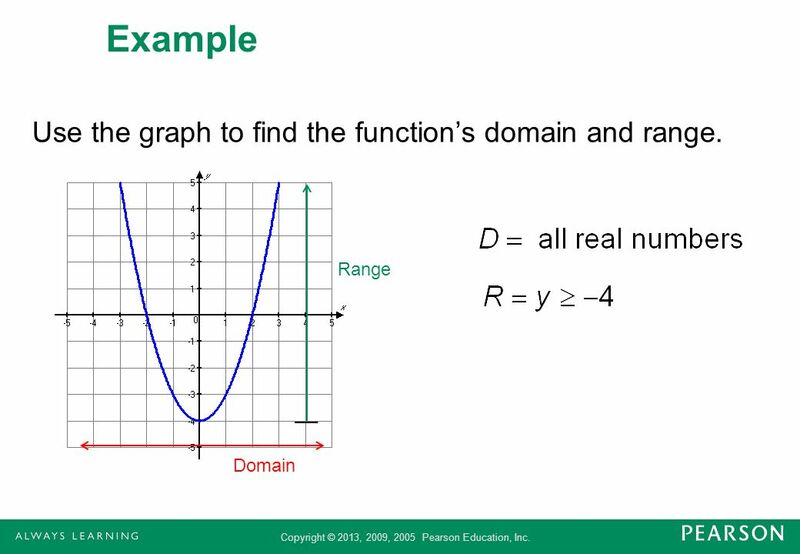 The domain of f includes all real numbers except 4, or x ≠ 4. 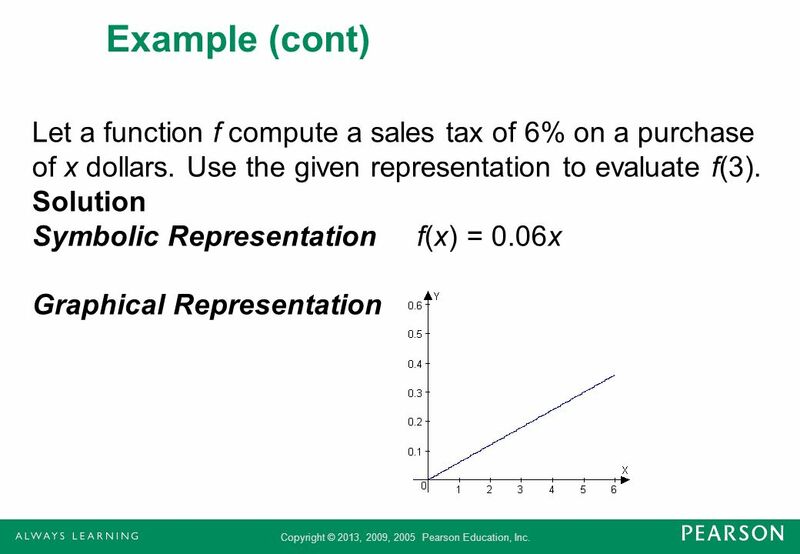 18 Example Determine whether the table represents a function. 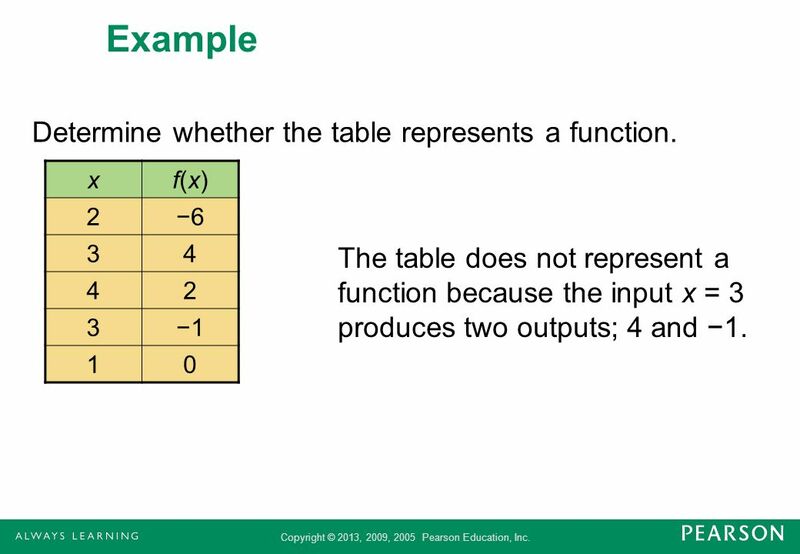 f(x) 2 −6 3 4 −1 1 The table does not represent a function because the input x = 3 produces two outputs; 4 and −1. 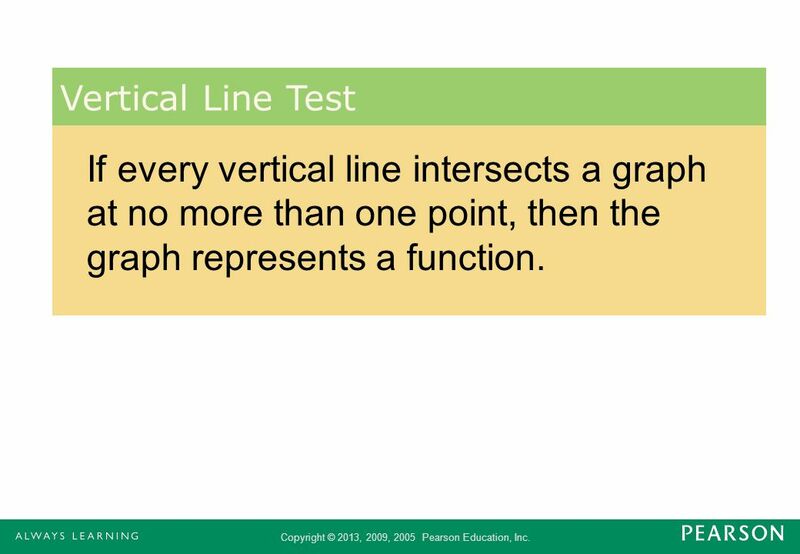 19 Vertical Line Test If every vertical line intersects a graph at no more than one point, then the graph represents a function. 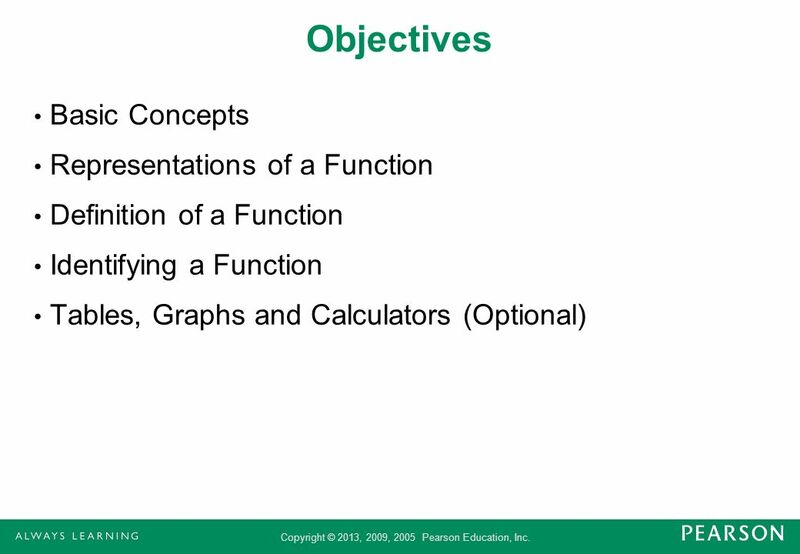 20 Example Determine whether the graphs shown represent functions. a. b. Does not pass the vertical line test. 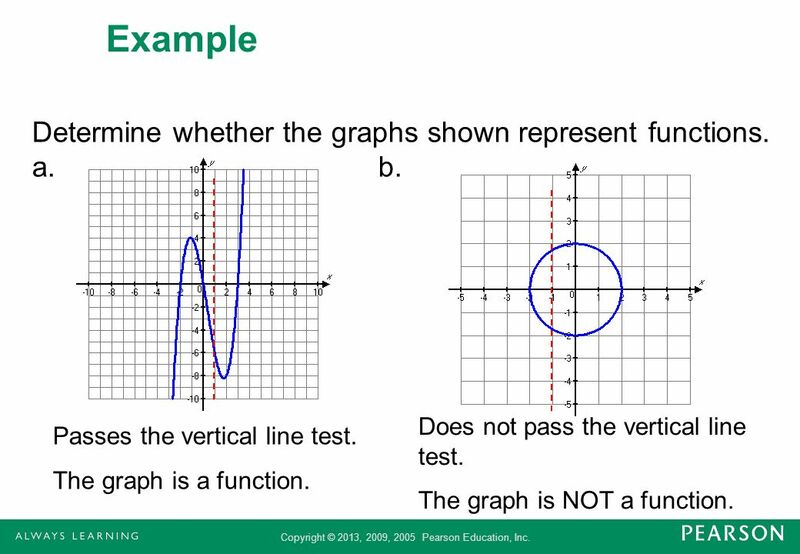 The graph is NOT a function. Passes the vertical line test. 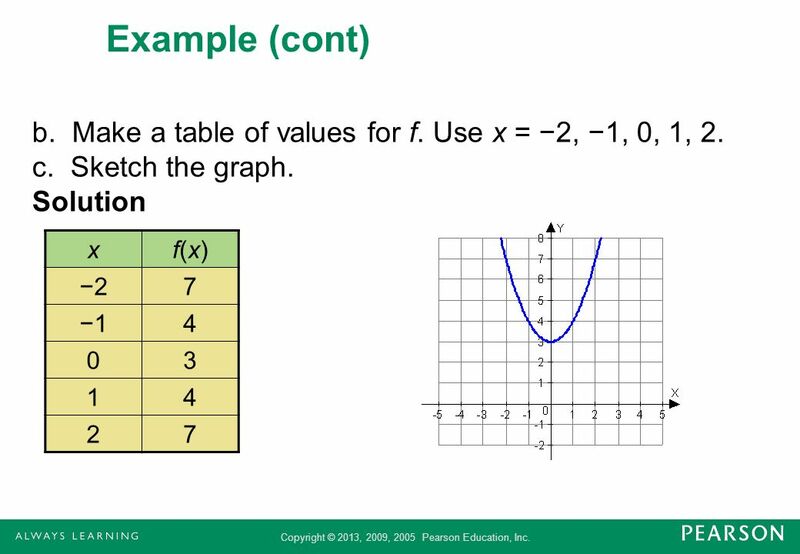 The graph is a function. 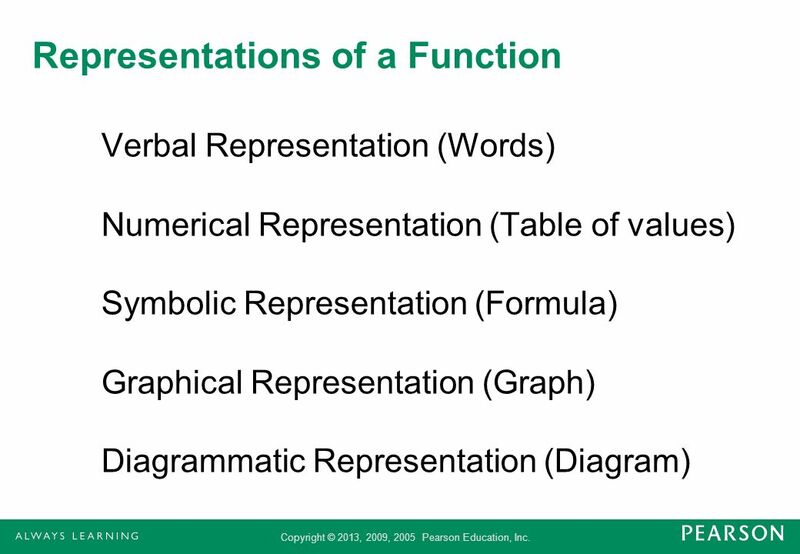 Download ppt "Functions and Their Representations"
Relations & Functions Section 2-1.